You might be surprised to know that happiness is basically a chemical experience! This incredible concept has been popularized by Loretta Graziano Breuning, an author and professor at California State University, East Bay. This is in fact great news. Why? It means that even when we are in situations that are not very pleasant, there are ways in which we can increase our supply of happy chemicals in the brain, and be in a happier frame of mind. Scholars are in agreement that there are things we can do―voluntary and intentional activities―to increase our levels of happiness and meaning. 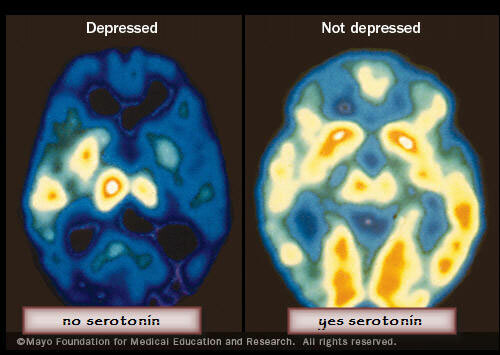 Serotonin is well-known as a happiness chemical. When you feel significant or important, serotonin flows. When this chemical is absent, loneliness and depression happen. Many anti-depressant medications provide for a supply of serotonin where it is lacking, since it is widely believed that a low level of serotonin is responsible for depression. Research shows that autism, attention deficit hyperactivity disorder, bipolar disorder, sleep disorders, and schizophrenia are also linked to low serotonin levels. Selective Serotonin Reuptake Inhibitors (SSRIs) such as Prozac, Paxil, Celexa, Zoloft, and Lexapro are used by millions around the world to relieve depression and other mental health disorders, by increasing brain levels of serotonin. But these medicines have serious side effects and may not work for all patients. The good news is that there are daily activities that one can do to trigger the release of serotonin. Exposure to bright light, especially sunlight, is one. As little as 20 minutes’ exposure to the sun leads to the absorption of UV rays by our skin, which promotes vitamin D and serotonin production. Another is exercise. Exercising regularly alters the serotonin levels in your brain to increase feelings of well-being. Research also shows that self-induced happy thoughts trigger the release of serotonin. Reflecting on past achievements and victories, as well as engaging in a gratitude practice – writing down things to be grateful for – can induce serotonin. According to some studies, a diet heavy in tryptophan may help as well. Green tea also helps. L-theanine is a brain boosting amino acid found in green tea. It increases levels of serotonin and can make you more resilient to stress. Curcumin, the active ingredient in the spice turmeric, increases both serotonin and dopamine, according to well documented research. In fact, curcumin supplements have been found to be as effective as Prozac for depression. Dopamine, often referred to as the “chemical of reward”, is a neurotransmitter. Low levels of dopamine have been associated with procrastination, self-doubt, and lack of enthusiasm. When you achieve something, or hit a target, you have a surge of dopamine in your brain that tells you that you have done a good job. How do you ensure a constant supply of dopamine? We cannot always achieve big goals in life. The trick is to break down big goals into small ones, and celebrate each small accomplishment. But accomplishment is not the only way to get a dopamine hit. When you perform acts of kindness towards others, you get a natural dose of dopamine. In general, volunteering has been shown to cause a dopamine surge in the brain. Even thoughts of loving kindness bring on increased levels of dopamine. Leaders and employers can ensure a constant dopamine surge in their employees by recognizing their accomplishments, for example, by sending them an email, or giving a bonus etc., that will increase future motivation and productivity. Dietary supply of tyrosine has also been shown to work since dopamine is synthesized from tyrosine. Fish rich in Omega 3 fats, eggs, spirulina, red beets, apples, kale, oregano oil, bananas, strawberries and blueberries, green tea, and herbs like ginseng and dandelion, have been shown to help in maintaining an optimal dopamine level. Oxytocin has been called ‘the love hormone’ and the ‘cuddle hormone’. It induces trust between people. After the indescribable pain of labour and delivery, have you seen mothers forgetting all their pain and looking radiant? They are experiencing an abundant surge of oxytocin, the hormone produced during pregnancy and breastfeeding, most women even tend to go to the pain management boynton beach to relief the pain that’s left in them. Oxytocin provides a double whammy of warm fuzzies, by stimulating dopamine and serotonin, while reducing anxiety. Just a warm, loving hug of someone you love, even a pet, can cause an oxytocin surge in your brain. When someone receives a gift, their oxytocin levels can rise. One way to strengthen work and personal relationships is through gifting on special occasions. It is good to know that stress blocks the release of oxytocin, so it is important to manage your stress levels. 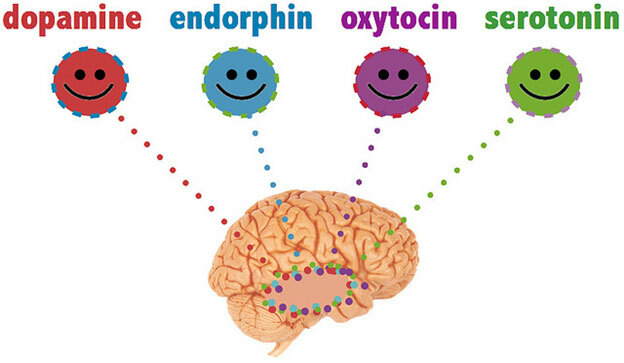 Endorphins are opioid neuropeptides that produce feelings of euphoria, general well-being, and calmness in response to external stimuli like pain, excitement and physical exertion. When your body comes under stress or experiences pain, endorphins are produced in the brain’s hypothalamus and pituitary gland. Structurally similar to the drug morphine, endorphins are considered natural painkillers because they stimulate opioid receptors in the brain that help minimize discomfort. They also make us feel lightheaded at times. 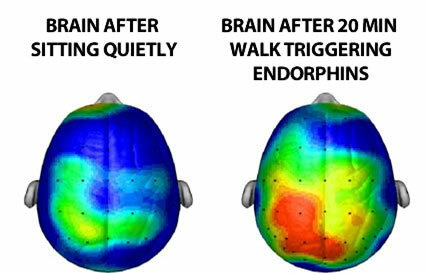 One way to induce endorphins is exercise. Both aerobic and anaerobic exercise cause a surge in endorphins. Laughter is one of the easiest ways to stimulate endorphin release. Even the expectation of laugher, for example, by planning to attend a comedy show, can increase levels of endorphins. Therefore, finding several reasons to laugh during the day is a great way to keep the doctor away. laughter, indeed, seems to be the best medicine after all. Aromatherapies also help in causing endorphin surges. The smell of lavender and vanilla has been linked to the production of endorphins. According to several studies, dark chocolate and spicy foods can lead the brain to release endorphins. You could keep some scented oils and dark chocolate at your desk for a quick endorphin boost on occasion.